Having recently moved to Teesside from Newcastle, I was very excited to hear about a health deli having opened in Norton. 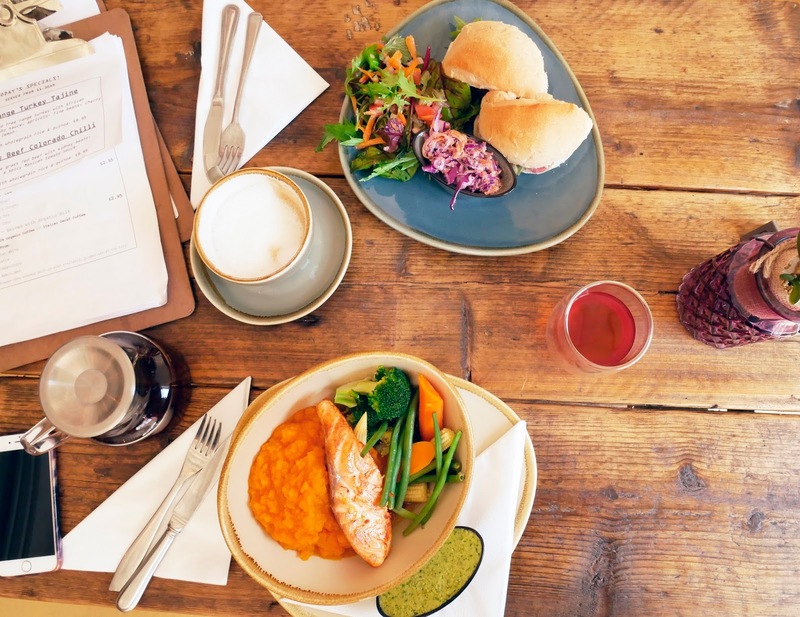 As mentioned in this review of Clean & Press in Jesmond, I am a huge fan of healthy food and healthy eateries, so I was very excited to see what Neanderthals had to offer. I popped along one lunchtime, mid-week and it was surprisingly busy – a great sign, so my hopes were high! Drinks-wise, I opted for the Mint Chocolate Tea (because chocolate), while my mum went for her go-to cappuccino (the day she goes for another beverage I will hand her a medal for bravery). 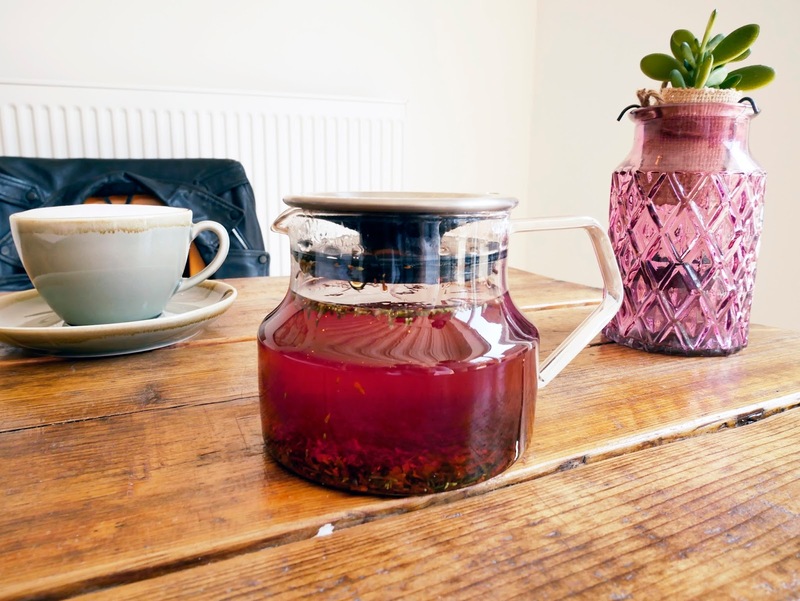 As you can see in the above photo, my tea was loose leaf and in a cute AF teapot – 10/10 for quality and aesthetics. It tasted much more minty and chocolatey than I had imagined to be honest, it's definitely one to try if you're a chocoholic trynna be healthy! The Buddha Bowl – I feel like the pic pretty much says it all. It was so delicious, so filling and SO HEALTHY. 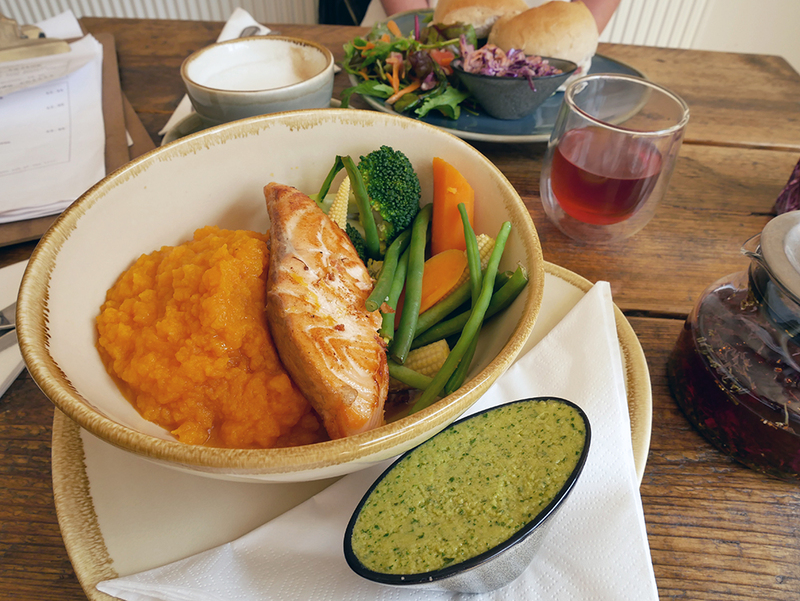 You choose your meat, base and carb, so obviously I went for salmon, seasonal vegetables and sweet potato and butternut squash mash. The salmon was crispy on the outside and super soft in the middle (plus the fillet was quite large! ), the veg was al dente and the mash was so smooth and sweet. Oh and it also came with homemade pesto (I think) hummus, which was quite honestly the best hummus I have ever tried and I could have gotten through way more! Especially since my mother stole some... It just left me wondering why I have never put pesto in hummus before. Finally, can you guess what my mum ordered? A BLT – the same thing she opted for at the previous healthy eatery review I took her along to. So luckily for you BLT lovers, we're basically doing for BLT's what Parmo Hunters are doing for parmos. The BLT Chronicles will be coming soon. This BLT was an all around winner apparently – top points for the bread (I have never heard anyone express so much admiration for a bun), homemade slaw, salad and filling. Unfortunately we totally forgot to get a snap of the inside of the bun but I trust my mum's 100% thrilled reaction to the sandwich and its sides. It was a good'un. 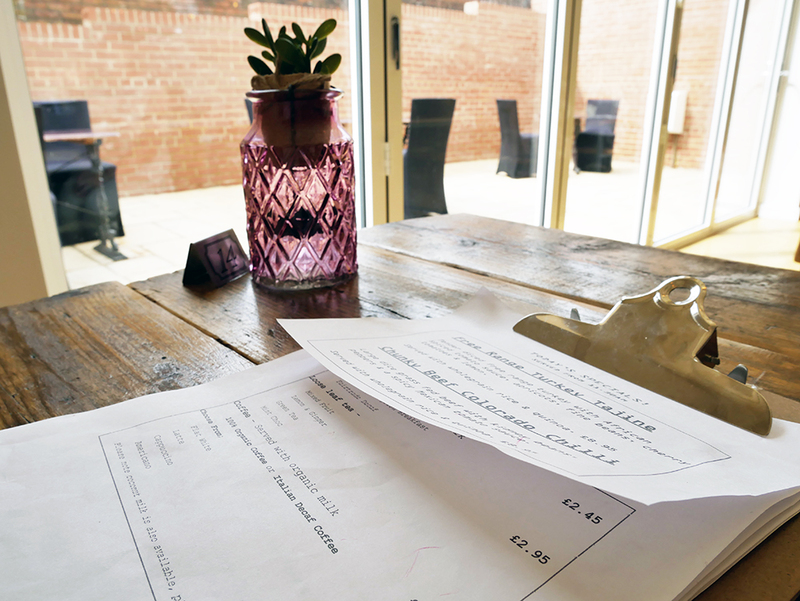 The cafe itself is lovely – all wooden tables, cute candles and rustic decor, and the staff were lovely too, we had a little chat to the co-owner, Emma, who explained why they opened Neanderthals (to provide healthy, back to basics food to us Teessiders). They're definitely succeeding! Head to www.neanderthalsdeli.co.uk for more info and to see the full menu. 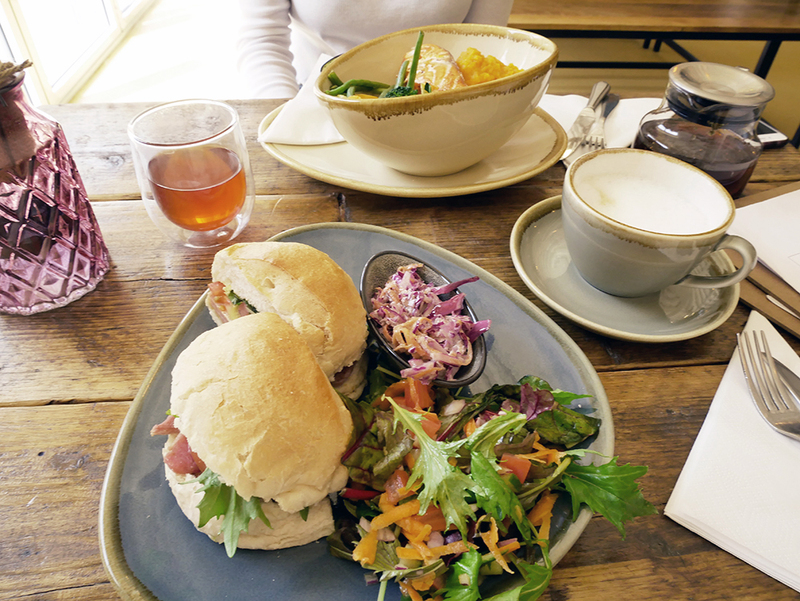 The deli is just on Norton High Street and is weeelll worth a visit! Neanderthals is such an amazing place. 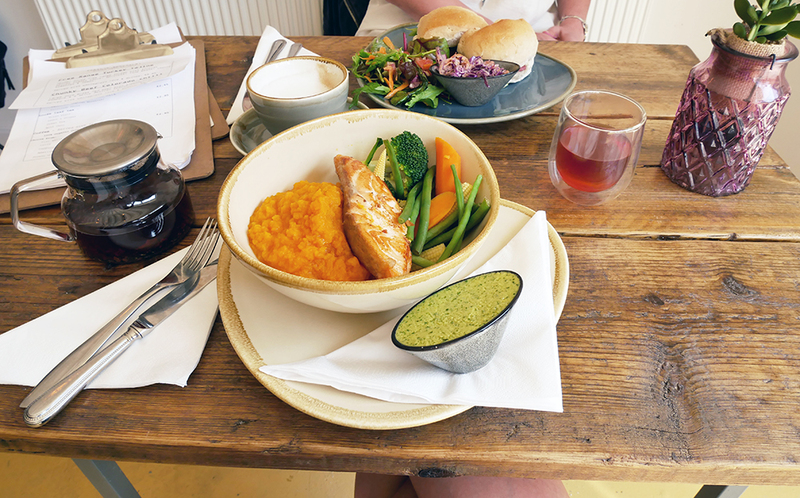 The food tastes amazing and you can eat it without feeling guilty. You should try the cakes next time you go!